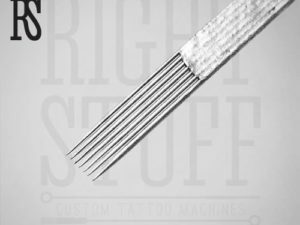 Recently, flat needles soldered in one set have appeared on the market. They significantly speed up the work process and allow the paint to be applied under the skin evenly. If a small pattern is created on sensitive areas, the contour is applied in one, a maximum of three needles. When working with needles, a powerful machine is needed. Rotor-type devices, although they are less powerful than induction tattoo machines are preferred when working with this type of stuff. 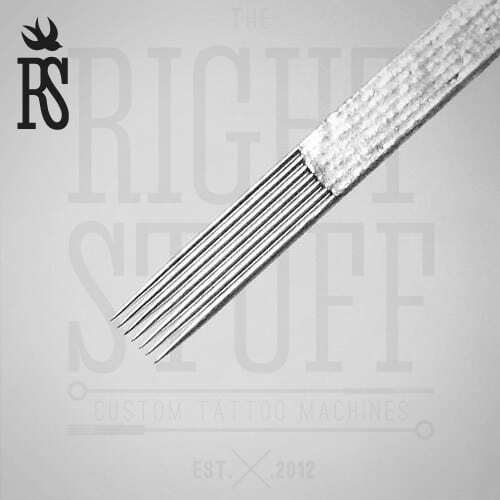 Each professional master, making a tattoo, uses certain needles, including round and flat ones. While round needles serve mostly for creating contours and “writing” something on skin, 11F flat tattoo needles that are taken for work later, serve for shading and painting these images. These flat needles are located in one plane and welded in one row. High-quality sterile needles (0.35 mm in diameter) are great for smooth transitions and halftones.